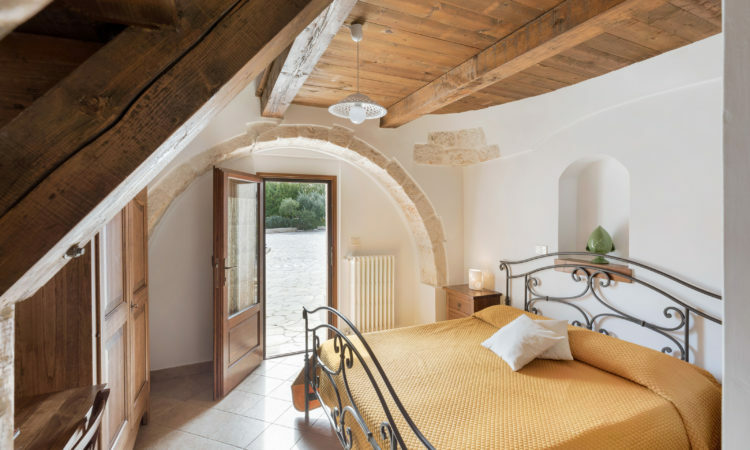 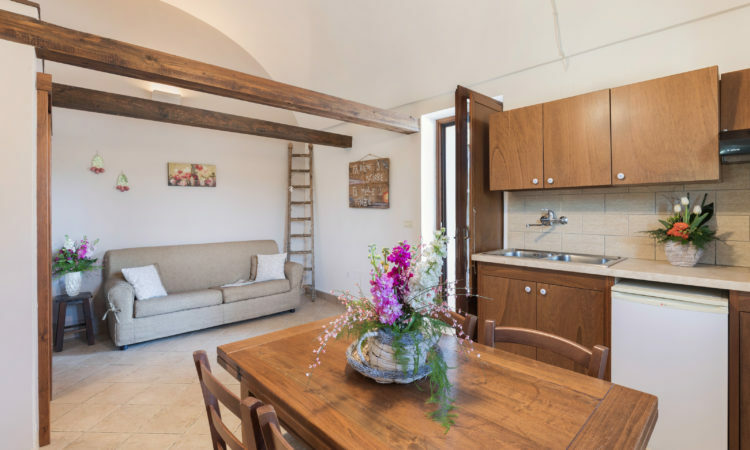 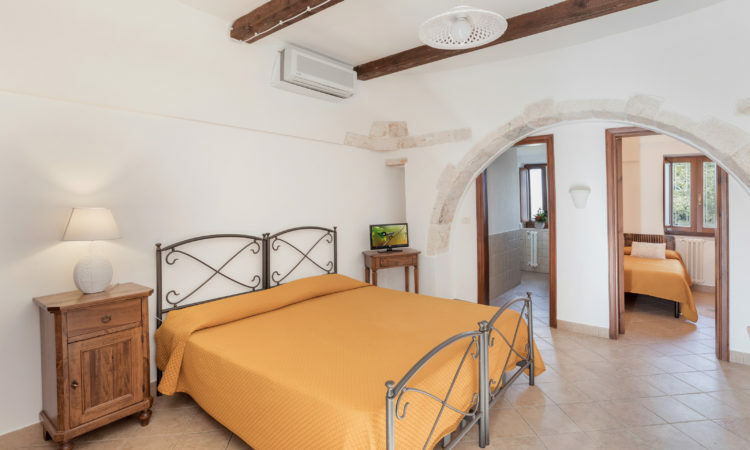 Itria Valley – charming valley dotted with trulli, farms, woods, olive groves and vineyards surrounding the most characteristic towns of the area. 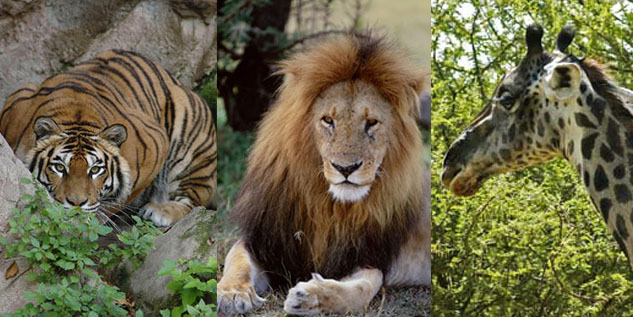 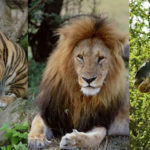 Zoo Safari and Fasanolandia – the oldest animal park in Italy and an amusement park near Fasano along the Adriatic coast. 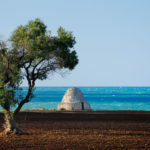 Egnatia ruins – interesting archaeological site. 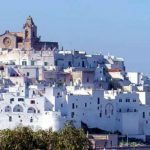 Locorotondo – town with a stunning and well-preserved old town and a peculiar circular design – its name means “round place” – Here you can taste wonderful white wines. 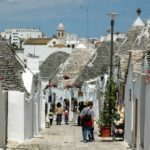 Martina Franca – town that shows some of the most outstanding examples of Baroque style in Southern Italy like Basilica San Martino, some refined mansions and the Palazzo Ducale. 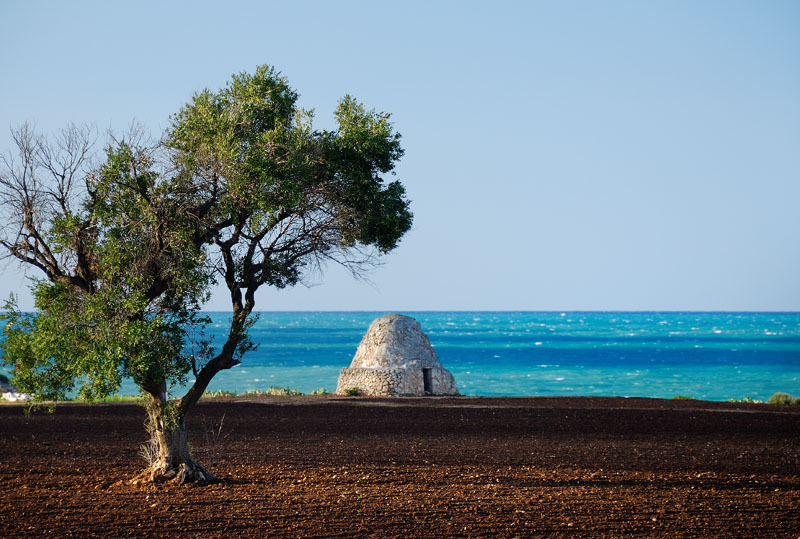 Inside its court every year between July and August the renowned Festival della Valle d’Itria – opera and ancient music recital – takes place. 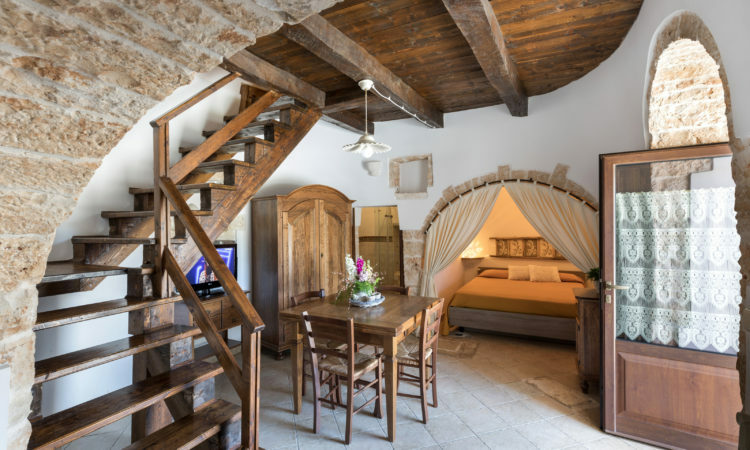 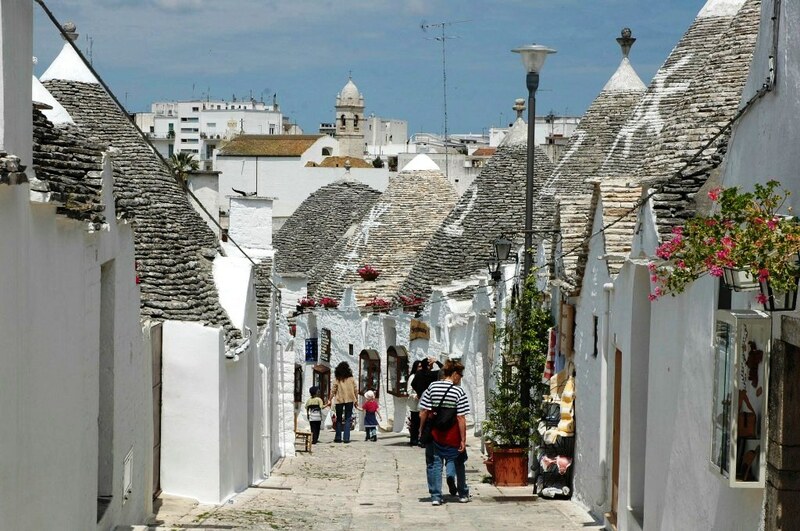 Ostuni – set on a hilltop just a few kilometres from the Adriatic Sea, this town is often referred to with the name of “città bianca” (white town) due to the dazzling white of the lime-painted houses of the old town. 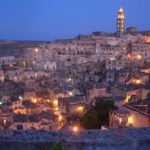 Cisternino – charming small town in the Itria Valley that in summer teems with restaurants and clubs where live music and traditional grilled meat are a must. 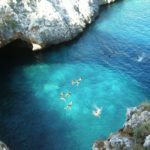 Castellana Grotte – the caves were discovered in 1938 and provide a pleasant underground walk among stalactites and stalagmites. 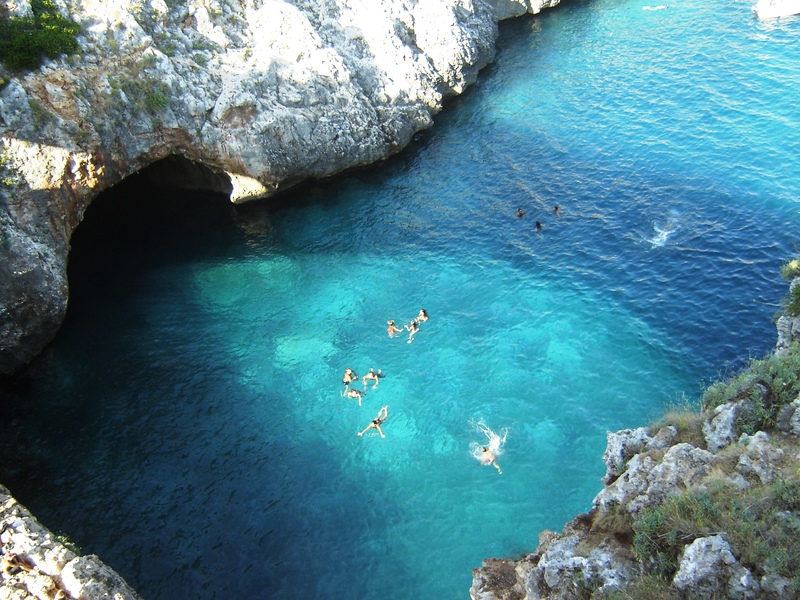 The grottoes are an example of ‘karst phenomena’. 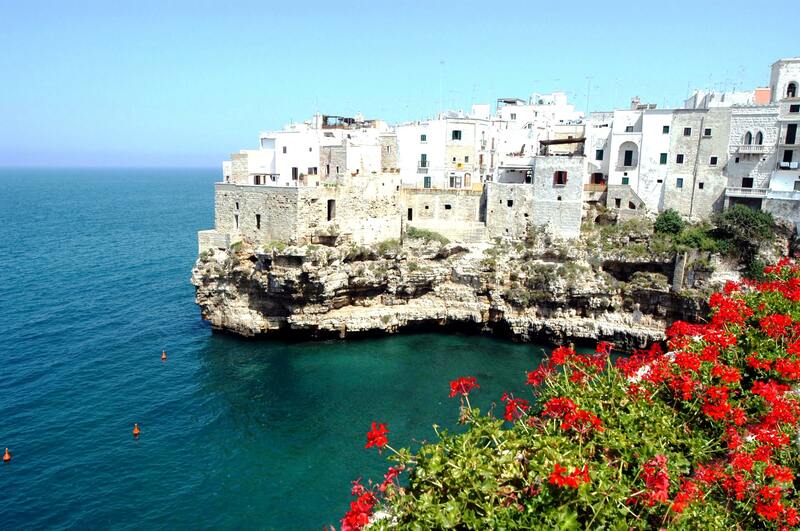 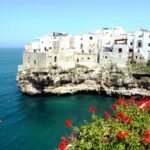 Monopoli and Polignano – two very nice towns by the Adriatic coast, the former with sandy beaches, the latter with impressive reefs. 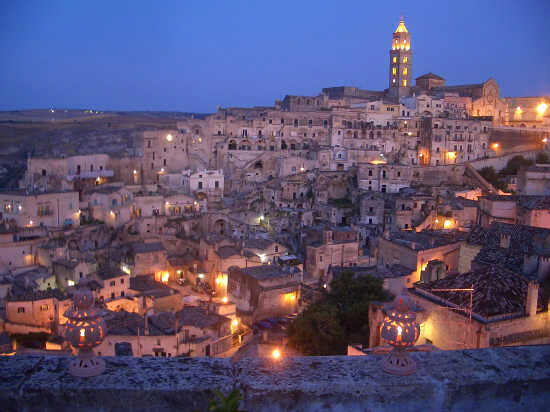 Matera – in the near region of Basilicata, this town is renowned for its ancient rupestral dwellings known as “sassi”. 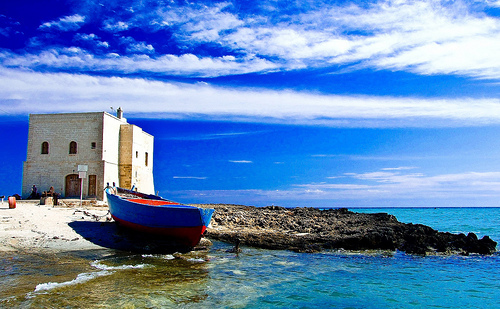 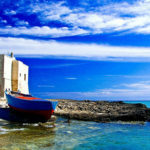 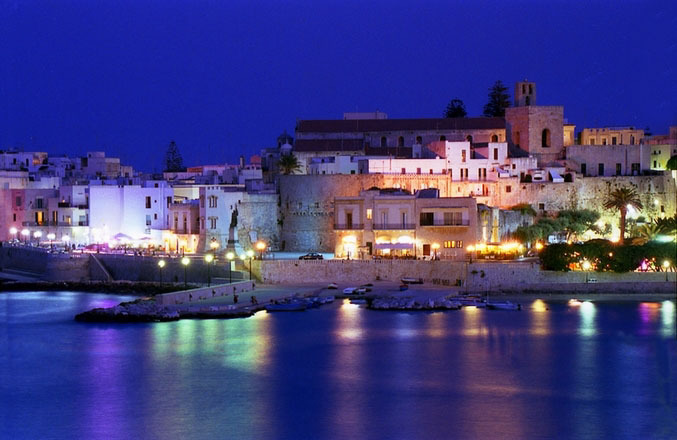 Salento – charming final stretch of Puglia and Italy with its not to be missed Otranto, Gallipoli, Lecce, Santa Maria di Leuca with the sea caves of Zinzulusa. 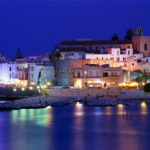 Trani – town with a stunning cathedral in Romanesque style. 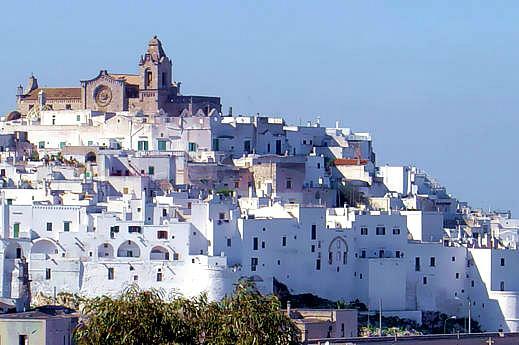 Castel del Monte – peculiar castle with an octagonal base, erected in 1240 by Frederick II of Svevia.